Looking for an original, personalized wedding or anniversary gift? 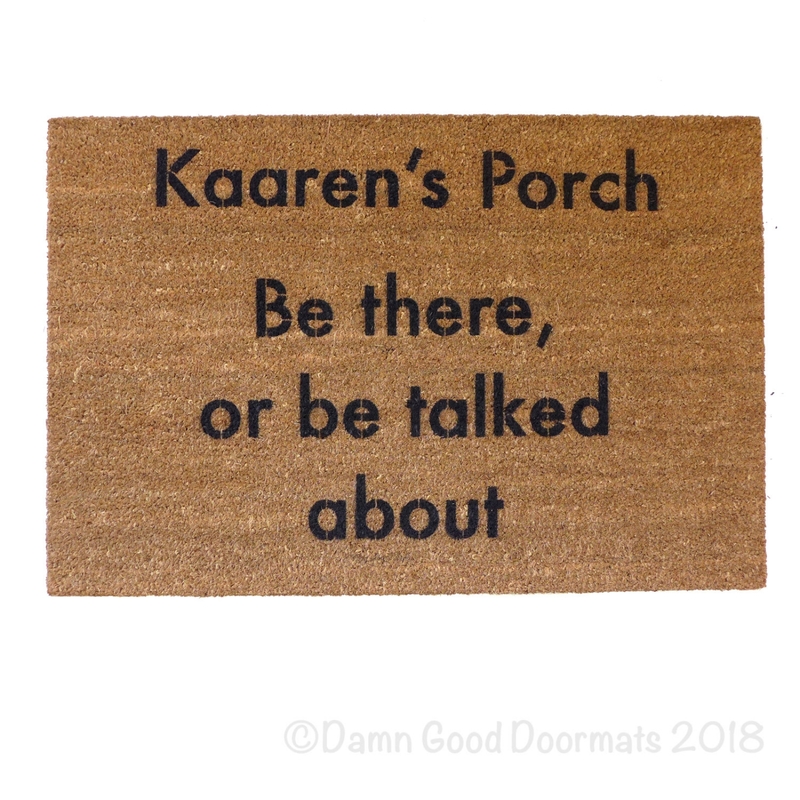 A custom doormat makes a great gift. Create your own completely original one of a kind gift for your bestie's wedding or someone special's new home/ apartment? This is where you do it! Most requests can be created, please convo us to make sure it's possible. We can then make you a custom listing with the exact image you want. CUSTOM ORDERS: Please allow 6-8 weeks for custom orders to be made. It's often much faster, but our workload is unpredictable. Custom items needed in under 20 days have a $30 rush fee. Additional shipping charges may be needed to make specific deadlines. If you don't wish to pay the rush fee, we can send you a custom printable gift card to give until the real mat arrives. 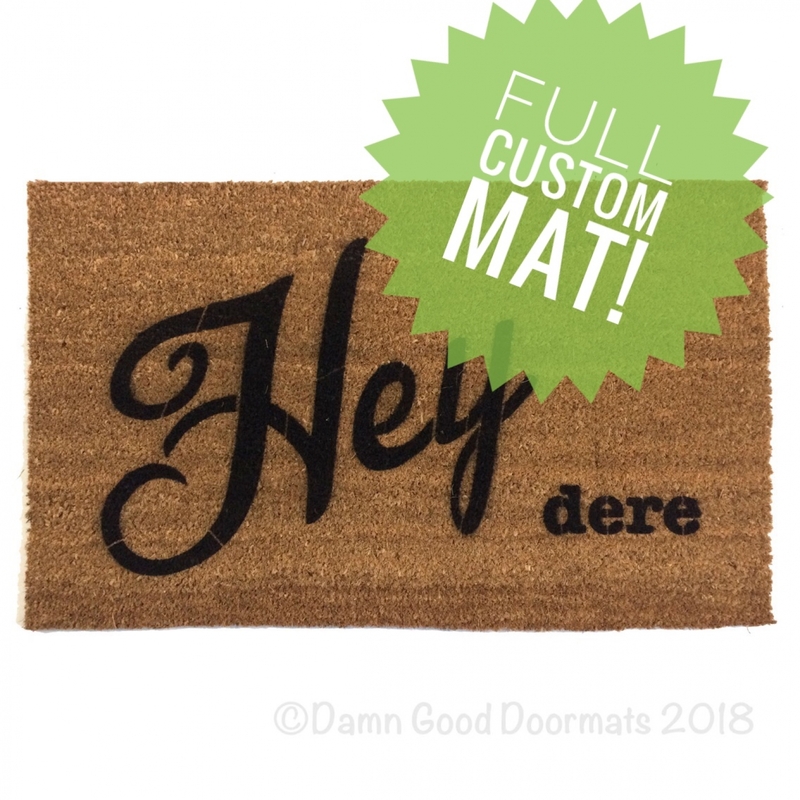 Please note that Damn Good Doormats reserves the right to reproduce all custom orders (and suggestions, even if not completed) unless prior agreements are made. This helps keep custom order costs down. Sharing is caring! copyright is NOT on actual doormat. THIN mats are woven & intended for indoor use, not recommended for heavy service. 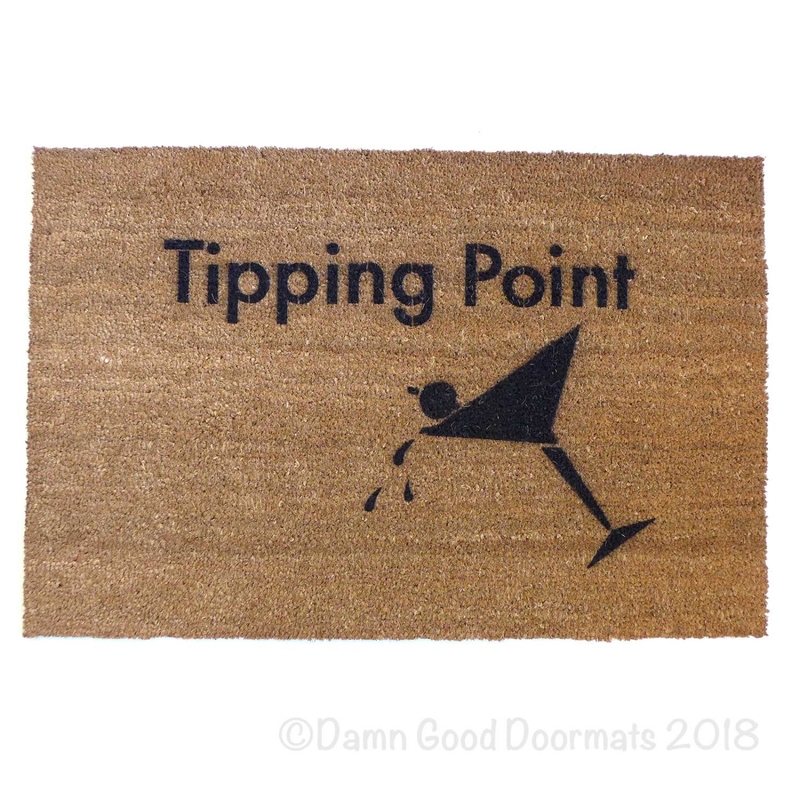 keep your Damn Good Doormat in a sheltered area away from sun & rain!!! 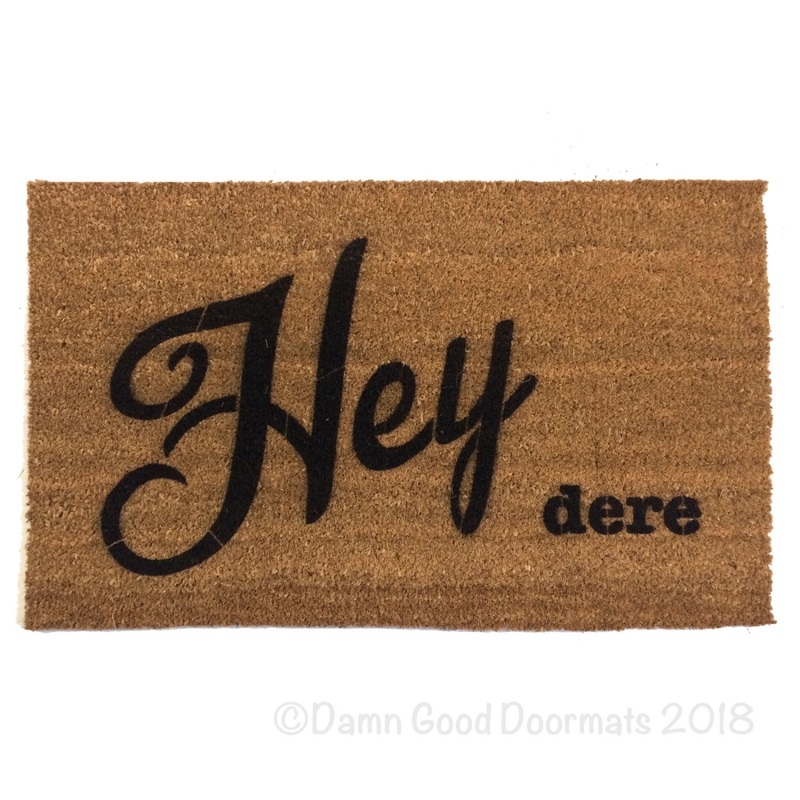 Have Welcome in your language put on a doormat! Contact me with your request & we will get to work! order one mat and your 2nd, 3rd, 4th AND 5th mats ship FREE in the continental USA! 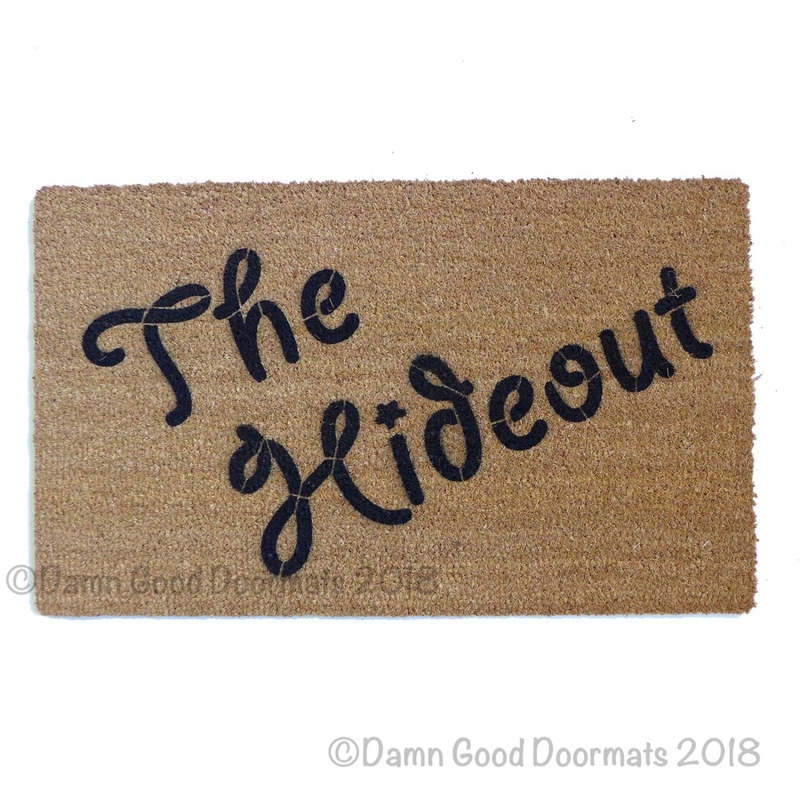 Learn more Facts about Damn Good Doormats: Care, Custom orders, Green & Eco Friendly, Refunds and Exchanges & DGD in the Movies! I also paint pet portraits! Popkin's Pet Portraits, pet portraits with personality for animal loving humans. Mat looks great and Spoon was very easy to work with!